In our previous blog updates we’ve mentioned how successful the recycling revolution has been in Australia; many individuals and businesses are taking the initiative to find new ways to dispose of their waste responsibly and the trend is catching on. Despite this, millions of tonnes of waste still finds its way into Australian landfill sites every year, which begs the question: where is all this waste coming from? Well, we believe the answer lies with industry. After talking with a number of industry leaders, it has become obvious that many see waste disposal as a cost and a liability rather than an opportunity. As many industries face economic difficulty, high costs and reduced profits may lead to waste being pushed back into landfill. Many businesses face a range of problems when deciding how to get rid of waste: issues with cost, convenience, and reliability are significant, and many are simply unaware of cost effective methods for reducing their waste. In addition, current skip collectors are utilizing landfill almost exclusively to dispose of their industrial waste. At Salvage Warehouse, our business model is simple: provide cost effective, environmentally sustainable solutions to our customers for their waste disposal. We’ve seen our business develop over the past few months and we’re steadily growing our partnerships with a range of industry leaders in Melbourne, working hard to change the status quo and provide quality solutions to our partners. We believe this is evidence that industry and businesses are just as keen as us to recycle responsibly given the right opportunities and avenues. At the Salvage Warehouse, we’re not only focused on reusing and reselling quality building and construction materials to our customers, but we’re also passionate about educating the wider community on the importance of reducing our waste. We believe every individual must do their own bit – and this begins at home. These are some of the benefits we can think of – What other benefits can you think of? But we can always do better… while these statistics tell us the number of households that have recycled at least one item during the previous 12 months; they do not indicate the volume of household waste that is actually recycled. Tags: Australian Bureau of Statistics, City of Melbourne, Environment, Recycling, Waste and Recycling, Waste management | Permalink. Many of us when going to buy construction materials only see the item itself and ignore all of the costs and factors that went into producing it. For example a pallet of timber two by fours don’t simply grow on a ‘two by four tree’ and magically appear at a construction site. To get the timber to a state you can use it is a long and arduous process. The trees take decades to grow to a point there are large enough to be usable for use before they are cut down. It then needs to be transported from the forests in remote areas from where it is grown to a timber mill where it is then cut to size. Many off cuts are discarded or turned into saw dust in this process if they are defective, not considered fit for purposed due to, rot, termites, cracks or fungus. The wood must then be treated with toxic chemicals to strengthen it for use in construction. The timber is then package and distributed to hardware stores across the country or over the seas to countries that seek unique Australian grains of timber. Did I mention we have just taken delivery of a truck load of re-furbished construction grade timber saved from landfill which is sitting on our shelves at a price comparable to your local regular hardware store. So if you’re planning your next construction job come on by and help make a positive difference to the environment. Tags: australia, Business, Construction, Construction and Maintenance, construction materials, Forestry, hardware, Landfill, Lumber, Materials and Supplies, re-use, recycle, Waste, Wood and Plastics | Permalink. Given we live in a world of finite resources, where we are beginning to realise a lot of the naturally occurring resources we use in all aspects of our life will eventually run out it is important to realise we must do take steps to reduce our rate of consumption for such resources. According to Bjorn Berge (2009) ‘Non-rewable resources are those that can only be harvested once’. At Salvage Warehouse we believe that whilea resource may be harvested only once it can be used many more times than just once. This concept is beginning to spread around the world. In Sweden a house was commissioned by the Swedish National Board of Housing, Building and Planning that would be affordable for the average family and make use of many recycled materials as possible. Studies conducted on the house found that the completed structure a three bedroom house with two bathrooms and a carport was composed of 40% (by weight) re-used materials almost 100 tonnes! Not only did this mean 100 tonnes of materials did not need to be added to the ever growing mountains of waste and landfill but it meant that an additional100 tonnes of materials need not be produced for the project. We believe we can all make a difference and help reduce the impact we have by reducing landfill contribution and the use of resources and energy required to produce new materials for use in construction. We can do this by recognizing the fact that while resources may only be able to be harvested once but can be used multiple times. Tags: Building material, Business, eco, eco construction, Environment, house, Landfill, Pollution Prevention and Recycling, Recycling, Sweden, Tonne, up-cycling, upcycling | Permalink. Salvage Warehouse’s first ‘Pop Up Store’. We need your help! So we’re planning on launching Salvage Warehouse’s first ‘Pop Up Store’ and we need your help! We want to tap into that into that vibrant and environmentally conscious spirit Melbournians seem to have. We are going to be setting up a couple of temporary stalls around Melbourne to show off what we are all about and listen to what you’d like to see stocked in our warehouse to help you with that next project you have planned. So what will our pop up store have? We’re planning on displaying some of the kind of raw materials we have to offer as well as showcasing a range of creations some of customers have conjured up using our unique products. We want to emphasise to the public that we are an environmentally friendly alternative to the hardware giants like Bunnings and Master as well as the fact we offer better value for money from our materials. So come along and see how we’re growing as a business and all the latest from the Up-Cycling community. STAY POSTED – DATES AND LOCATIONS TO BE ANNOUNCED SHORTLY! If you are one of our amazing customers who have created something special and trendy with Salvaged materials we’d love to hear from you so we can help tell your story of up-cycled DIY and construction projects. Tags: Construction, DIY, guerrilla marketing, melbourne, Pop up shop, Recycling, up-cycling | Permalink. 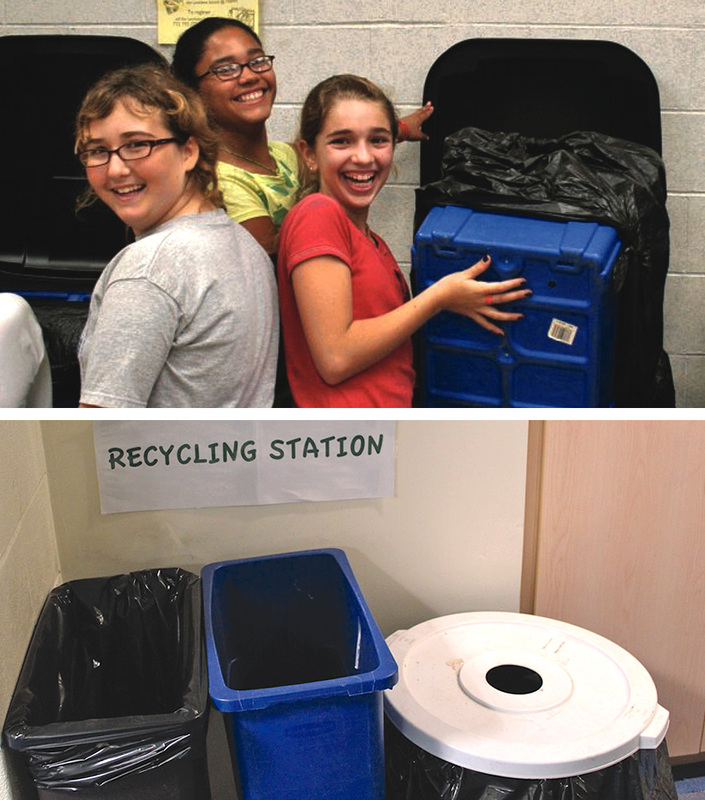 At salvage warehouse, we believe that education is key to developing more environmentally friendly recycling practices. Following this belief, we organised a recycling day at a local primary school. 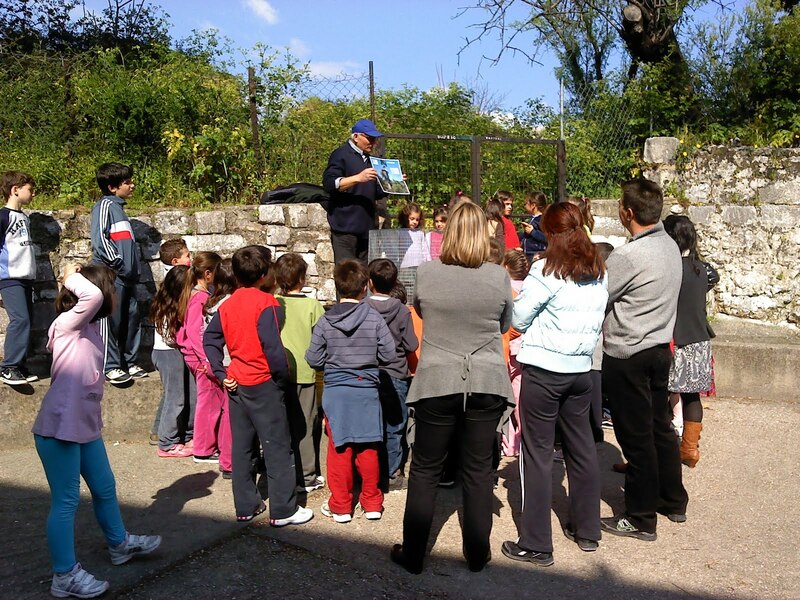 Our goal was to teach the children what happens to rubbish once it’s thrown away and what happens to it when it is recycled, through some fun and interactive presentations and activities. The overall aim was to show everyone what they can do to stop waste from going to landfill. After a successful day the students and teachers thanked us for what we had taught them and said they had a very fun day. We hope to organise more of these events in future and not just at schools. 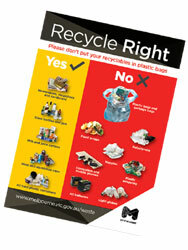 We want to work with local councils and clubs to promote our principles of reusing and recycling. Tags: Education, Environment, Environmentally friendly, Pollution Prevention and Recycling, Recycling, Waste, Waste and Recycling, Waste management | Permalink. The town of Cateura, situated along the banks of the Paraguay River, was built virtually on top of a landfill site. Poor management of the region’s waste has resulted in more than 1,500 tonnes of solid waste making its way into the area each day. Many families are forced to live in close proximity to the dangerous waste, and suffer from the ill effects of contamination to their water supply. But imagination and creativity has emerged from the poverty stricken Cateura in the form of music. Favio Chávez, a local landfill worker and musician, is working with the youth of Cateura to create the Landfill Harmonic. With their slogan, “The world sends us garbage. 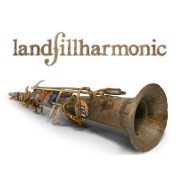 We send back music,” the inspiring group is recycling and reusing waste to build musical instruments and establish The Recycled Orchestra. This story got us thinking: what other creative ways can you think of to reuse your waste? Tags: Cateura, Facebook features, Landfill, Landfill Harmonic, Paraguay, Paraguay River, Waste, Waste management | Permalink.